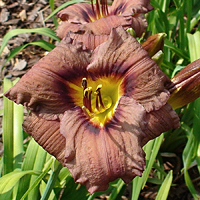 Hemerocallis ‘Old Termite’ is a 2005 diploid introduction. 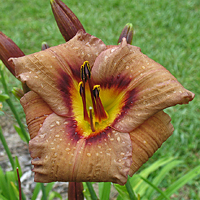 H. 'Old Termite' is simply "the brownest daylily in existence today" and has been since it was introduced in 2005. 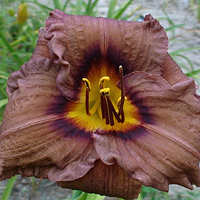 In gained a huge following when attendees of the 2006 AHS Region 15 Summer Meeting saw it in person for the first time discovered the claim was genuine. 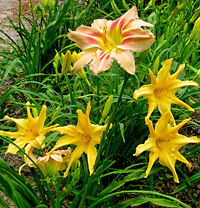 It continues to remain in high demand among daylily aficionados and growers. 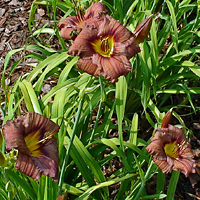 This semi-evergreen diploid has a 4 ½" bloom and sits atop heavily budded 28" scapes beginning its display in the early midseason. 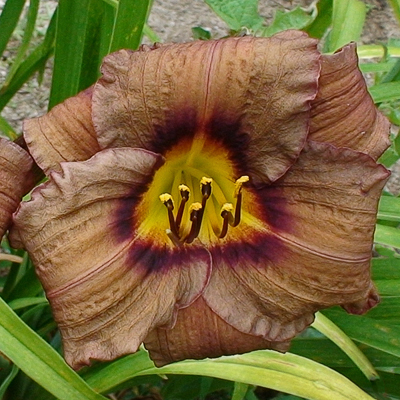 The flower is brown with a deeper brown eye band... and even the unopened buds are brown in color. 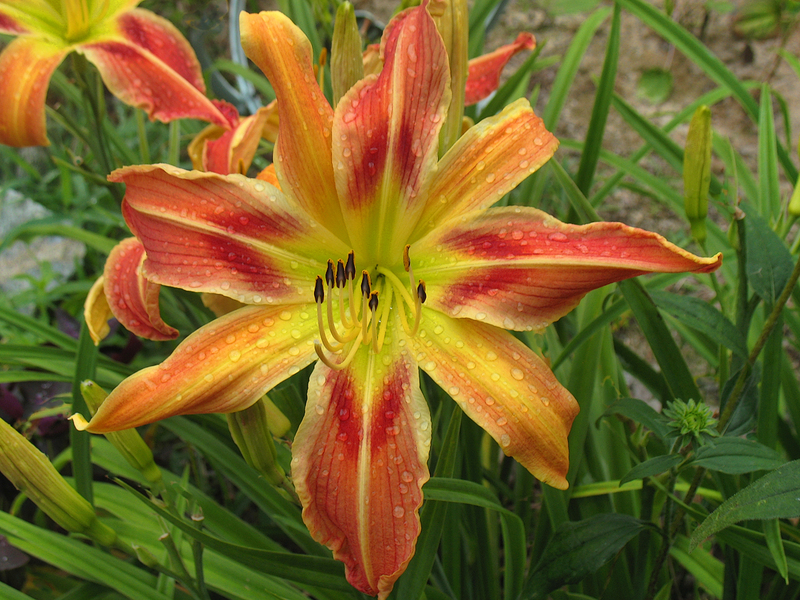 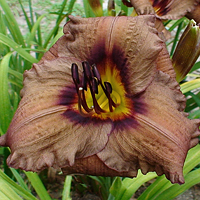 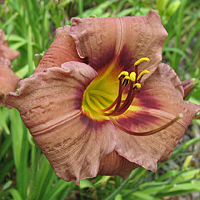 H. 'Old Termite' is very distinctive and will never be confused with any other daylily. 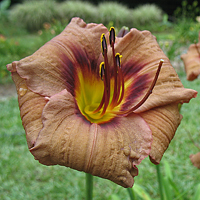 Analyzing the parentage of H. 'Old Termite' reveals another unique circumstance. 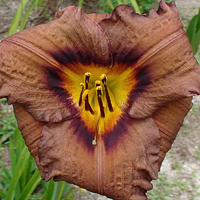 The pod parent is the diploid H. 'Blue River' and the pollen parent is the tetraploid H. 'Matthew Martin'. 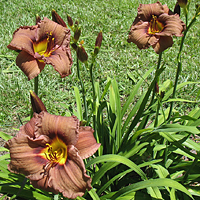 Both parents were hybridized by the Doughertys of Knoxville, Tennessee and I discovered these plants at the AHS National Convention in 1995. 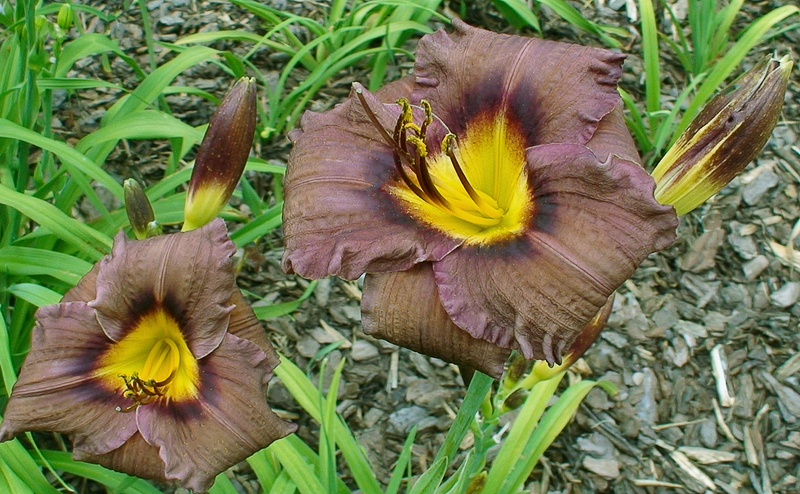 H. 'Old Termite', H. 'Blue River', and H. 'Matthew Martin' are all noted for their ability to cross with both diploids and tetraploids. This brown wonder flower is also fragrant!